Hey all. It’s Monday, you know what that means! Today, I’m linking up with The Nectar Collective for Weekly Wishes. The Weekly Wishes is where we all can share our posts about goals, challenges, and wishes for the week! Last week, I wished for a few things and they weren’t very successful. My Bloglovin’ feed is still overpowering me! But at least I haven’t let it grow anymore. And I did complete the biggest wish of all–to get home safely. I spent last night with H and we had a blast just hanging out, eating pancakes, ice cream and black cherry soda (balanced diet, am I right?). So I totally don’t even care about my other goals; all that matters is that I’m finally home. A week from today, school starts again! In honor of this wondrous (jokes) occasion, I’m offering a SURPRISE SALE–30% off all ad spaces from today until next Monday, August 19, 2013 when I start school. See all of your options on my sponsor page and make sure to mention this sale when you contact me! But on a slightly less happy note, I don’t have much time before school craziness starts. In other words, I gotta get my shiz together. For those of you who don’t know, I just drove home to NC from Michigan over the weekend, where I’ve been living for two months. So I have a lot of schoolwork left to do and unpacking and cleaning and I need to work on finding a job! And to add to it, my body’s on a crazy sleep schedule because I used to get off work at one. In a week, I’ll be getting up at 6ish for school, so something’s gotta change. Basically, I got lots to do. Get my body on a good sleep schedule. Specifically, lights out by ten thirty, out of bed by eight. I can do this!! Do some major cleaning! Pick up or clean for 30 minutes every single day–if possible, right when I get out of bed. My desk drawers are stuffed and I’ve got books all over my room that need to be picked up (figures). Write out a full posting schedule for my first week of school. Look for a job. I’d ideally like a job in tutoring, but I’ll see what I can scrape up–wish me luck! Now head on over to The Nectar Collective and join the Weekly Wish link up. Today, I’ve also got a super exciting opportunity to introduce a lady who’s been chilling out on my sidebar recently. 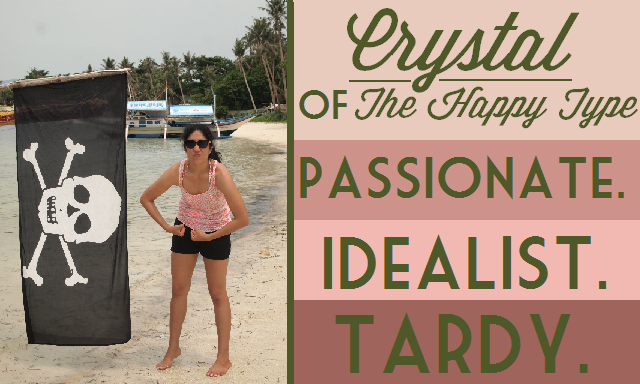 Crystal writes over at The Happy Type about positivity and things that inspire her. In her own words, The Happy Type is “a place for women to grow”. Let’s chat with this stellar female! Crystal, I want to introduce you by talking about some of your favorite things–give us a book recommendation to start us off! In high school a teacher made me read Catch-22 and I was so mad because a wartime story, UGHHH! BUT it turned into my all time favorite book because of the amazing story line Joseph Heller’s writing is simply sensational. Even if you don’t like wartime fiction Catch-22 is such an engaging story that you’ll find yourself immersed in it in no time! I’ve never read that, but I’ll definitely be adding it to my list! What about your favorite band or song? Journey / “Don’t Stop Believin'”! If you could visit or live in one place, anywhere in the world, where would it be? 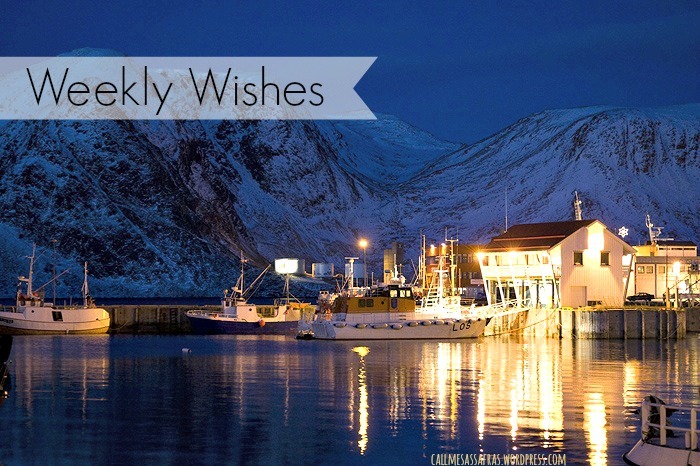 What were your wishes this week? Don’t forget about the sponsor sale–30% off until next Monday! Hey all. Today, I’m linking up with The Nectar Collective for Weekly Wishes. The Weekly Wishes is where we all can share our posts about goals, challenges, and wishes for the week! Last week, I had quite a few goals! Here’s how I did. Get through my Bloglovin’ feed? Ah no. But I did make significant progress! I’m just barely under two hundred! Get a new sponsor?? Nope, not this week. 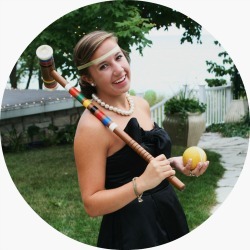 I do have a super awesome guest post coming up from Crystal at The Happy Type and I’m so excited to share! If you ever want to guest post/sponsor CMS, check out the sponsor page. Brainstorm topics for the first week of school posts? Yessirree sure did! Get excited! Make progress on school reading and college apps? Yep! I started my apps and am just waiting to hear back from my counselor before I finish! I’m finding that my goals are just too vague so it’s hard to really make progress. So I’m making a goal to make my goals more concrete (yes, my goals involve goal-making). Keep on truckin’ through my Bloglovin’ feed! I’d like in <100 ideally. Work on it a little bit everyday! Try to comment more on blogs! Make at least one thoughtful comment everyday–more is great! Plan two posts and write out one for the first week of school. Go home!! By this time next week, I’ll be home in Charlotte! I get to see the boy eeeeeeeeee. What were your wishes this week? 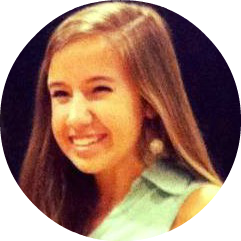 If you have a blog, tweet me, or comment to motivate me and help me reach my wishes! Hey all. Today, I’m linking up with The Nectar Collective for Weekly Wishes. The Weekly Wishes is where we all can share our posts about goals, challenges, and wishes for the week! Last week, my goals were to run once, get through my Bloglovin’ feed, connect with bloggers, keep my bedroom clean and learn something new. Ran once? Sure did! Five miles. 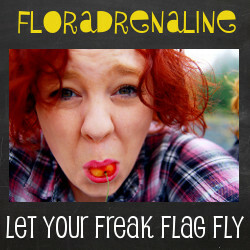 Get through my Bloglovin’ feed? Oh man, no. I’m closer to 300-350 now. I’m so sorry for commenting on everyone’s posts from two weeks ago. I’m working on it. Keep my room clean? Did pretty well! Not perfectly, but it was a good try! Learn something new? I learned about the colors you see when you shut your eyes! Go through my whole Bloglovin’ feed (take two)! This is getting pathetic. Share your blog with me below! Get a new sponsor! Want to help me out? Check out my sponsor page! Starts at only five bucks! Spend some quality time brainstorming posts for my first week of school–it’s gonna be crazy busy! Make progress on my school reading and start college applications! What were your wishes this week? If you have a blog, tweet me, comment or sponsor to help me reach my wishes! Hey all. Today, I’m linking up with The Nectar Collective for Weekly Wishes. The Weekly Wishes is where we all can share our posts about goals, challenges, and wishes for the week! Last week, my goals were to run once, write H a love letter, get a new sponsor, make new social media buttons and learn something new. Ran once? Sure did! Five miles + stairs. Wrote H a letter? Yep! Sent it on Tuesday. Get a new sponsor? Double yes! Check out my new blogging besties Crystal and Kayte! Make new social media buttons? Check! I know they don’t quite match yet but I’ve got a new header from Bumble & Buzz Design coming soon! Learn something new? I learned that short people are better at arm wrestling (very slightly). Booyah! I think that’s the only time I’ve ever said booyah but it works. Go with it people. Run once, at least once. Go through my whole Bloglovin’ feed! It’s been stuck at like 200 unread posts for forever, I need to stay up to date with my favorite blogs! Share your blog with me below! Learn something. Again, I’ll leave this intentionally vague. Know something cool? Tell me in the comments. Keep my bedroom cleeeean. I’m SO bad with this, it’s almost pathetic. Sometimes I just look at my room and I’m like, Allie, get your life together. 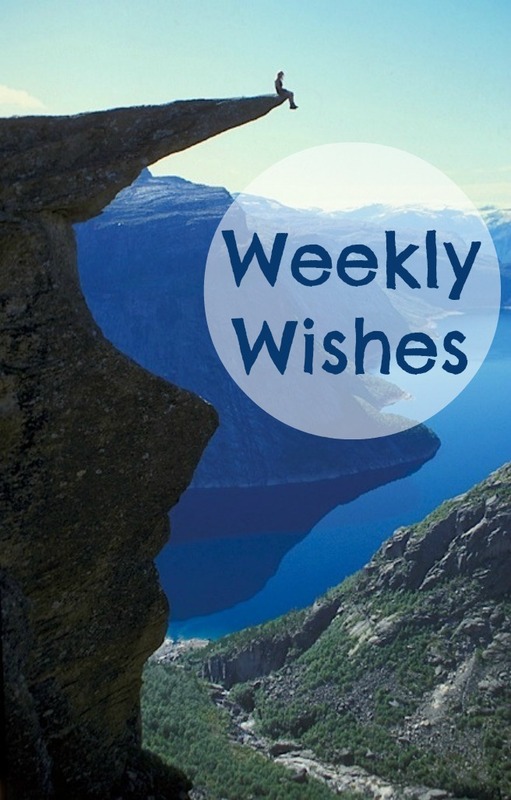 What were your wishes this week? Tell me something cool so I can knock out number 4! Hey all. Today, I’m linking up with The Nectar Collective for Weekly Wishes. The Weekly Wishes is where we all can share our posts about goals, challenges, and wishes for the week! Last week, my goal was to run four days according to my half-marathon. Unfortunately, this did not happen one ion. I did bike ride and walk lots and take care of kids (that’s a workout!) so I don’t feel too badly about the week but I do need to get back on adding my mileage to get ready for my half-marathon. 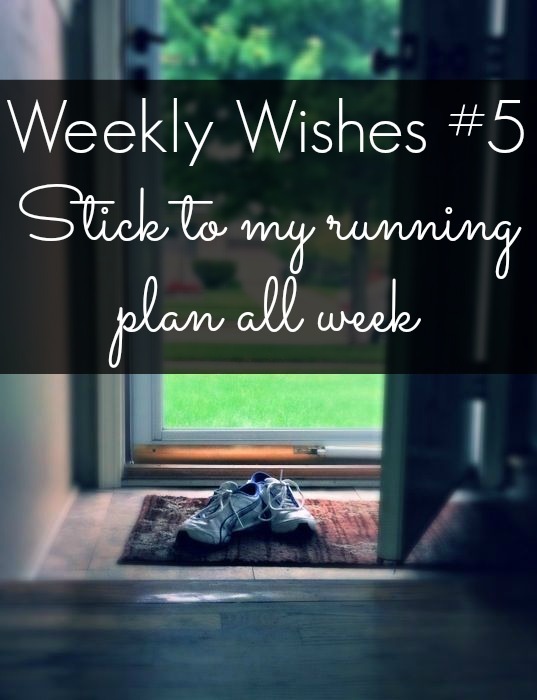 This week I’m setting the bar low and just telling myself to run once–I’m planning on doing it later today! I have today off of work (both jobs–what do I do with myself?!) so I have no excuse. I also added a few more little goals I need to get done this week. Learn something. I’ll leave this intentionally vague. Know something cool? Tell me in the comments. Make new social media buttons. 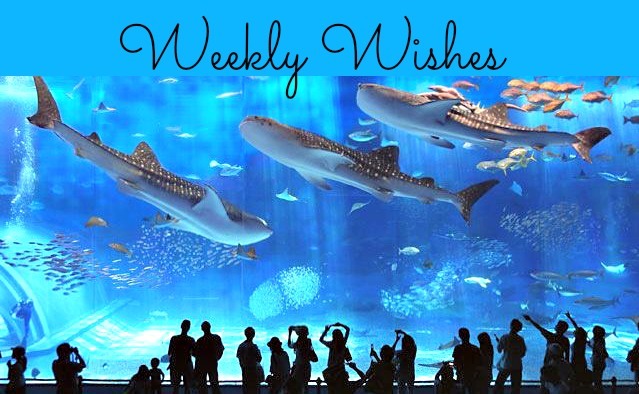 What were your wishes this week? Tell me something cool so I can knock out number 3! Hey all. Once again, I’m linking up with The Nectar Collective for Weekly Wishes. 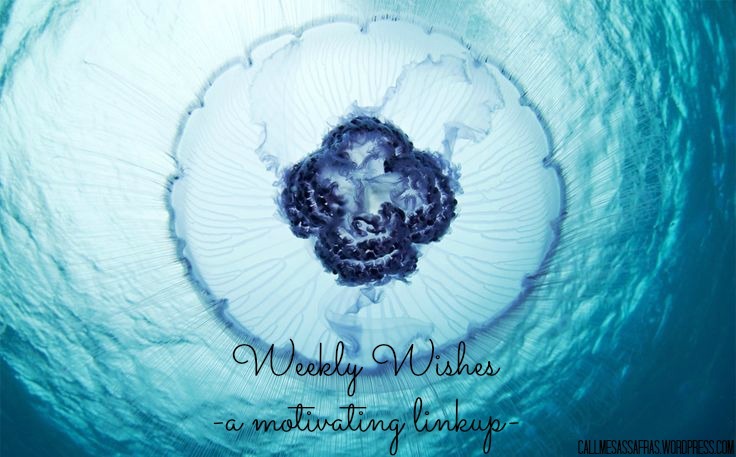 The Weekly Wishes is where we all can share our posts about goals, challenges, and wishes for the week! Last week, my goal was to watch a TEDTalk every night! Some nights I watched a couple talks but other nights I didn’t watch any so it kind of evened out. But it’s definitely a habit I’d like to keep up with. Tomorrow I’ll post a list of my favorite talks and I can’t wait to share some with you! I had been doing pretty well on preparing for my half-marathon but unfortunately I skipped like a week and a half when I started nannying and my mornings were crazy busy. On this past Saturday, my town hosted a fun run and I participated in that on the spur of the moment and that’s inspired me to pick back up where I left off. This week, my runs are three, four, three and six miles and that last one will be a doozy. But I’m publicly committing to doing the whole six mile run, even if I have to walk a little. Guys, make me do it! 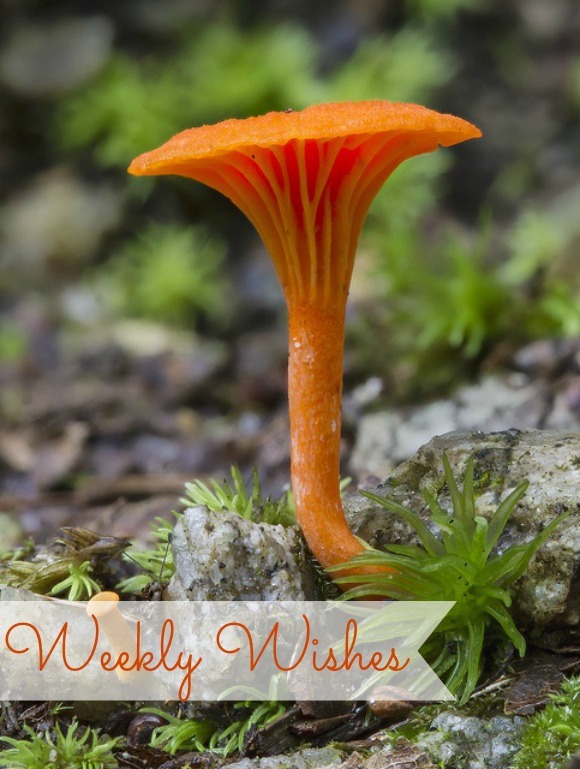 This week, I’m linking up again with The Nectar Collective for Weekly Wishes. The Weekly Wishes is where we all can share our posts about goals, challenges, and wishes for the week! Last week, my goal was to try out a morning routine by getting up at 9 every morning and sticking to my running plan. Overall, it went pretty well. There were only two days when I slept in past 9 or so and I did all of my runs for the week. Towards the end, it did start to wear down on me getting up that early (for me) because I work at night and go to sleep late. But it was an experiment! Getting a little with the goals today! The first one is going to be really tough…I’m not a fan of journaling or writing in general if I don’t have a given topic. 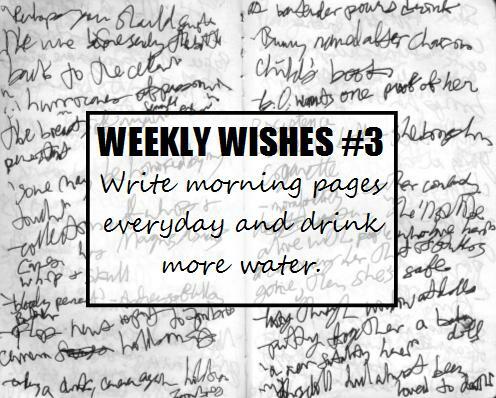 Morning pages means to write stream of consciousness, three pages (or 750 words), preferably in the morning. No editing, no pausing (or as little as possible), just whatever comes to mind. I read this article about how writing three pages every morning helps you be more productive and happier, so I decided to give it a try. I’m not sure whether I’ll use pen & paper or Word, so I’ll try out both. The second is just because I’ve been getting really bad headaches lately and suspect that they may be dehydration related. I drink milk or tea with every meal but rarely water, which I know is best for me. I’m hoping that drinking an additional glass of water at every meal will help get rid of my headaches.